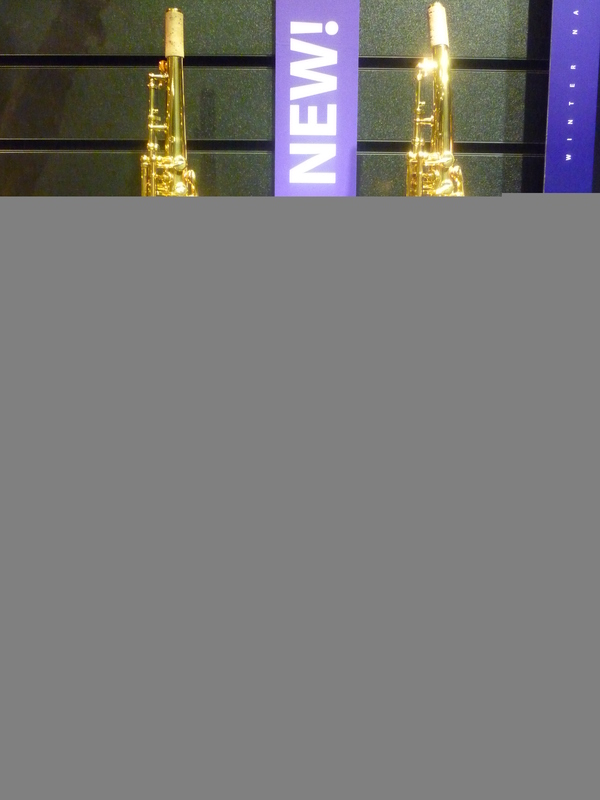 Todays HOT NEW items included the Yamaha YSS-82Z and YSS82ZR, complementing the already popular Alto and Tenor Z Saxes these new Sopranos are one piece (no removable neck) and are designed in the usual Z fashion to play with immediate response and with great projection. The YSS-82ZR version is especially interesting as the body is curved at the neck end, unlike most Sops which have removable curved necks. 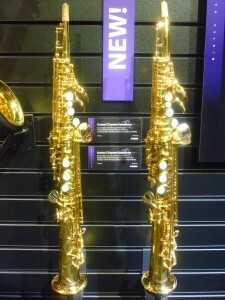 For those that seek a more vibrant Soprano still with tonal texture these YSS-82Z’s would be well worth checking out. We’ll let you know ASAP when they will be available in the UK. Vandoren also featured a couple of new products including the V16 Baritone Mouthpieces, I saw sizes from 5-9 and they should follow the usual style of the V16, namely a good choice for Jazz players and big band users. 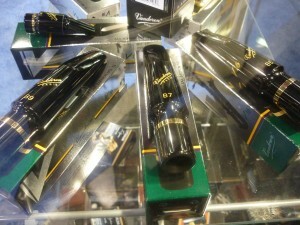 The Baritone Mouthpiece market could do with a little shaking up so these should be well received. As ever with Vandoren they should be impeccably finished. 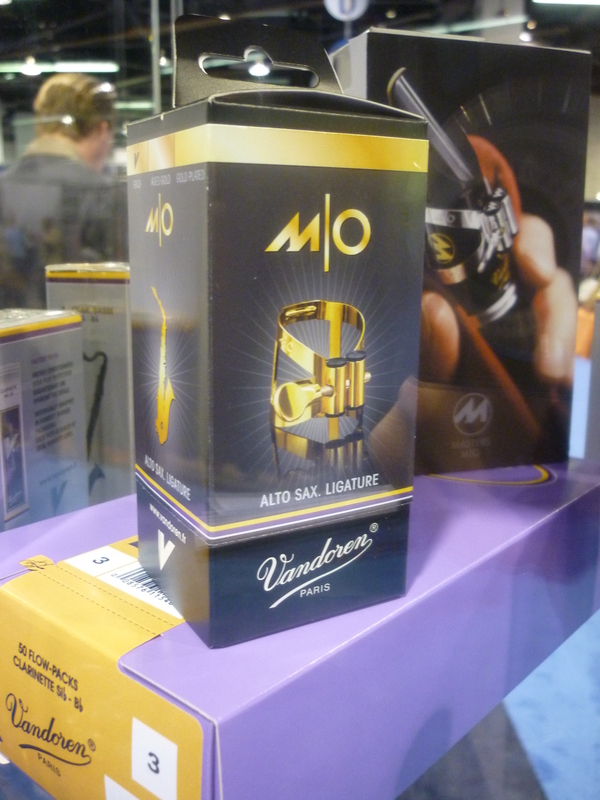 There is also a New Vandoren ligature available soon for Clarinet and Saxes, called the M/O…This is seemingly a combination between the very popular Optimum series Ligs and the lesser known Master series. Many players have upgraded to Optimum Ligs over the last 5 years and we all agree the symmetrical tightening and solid construction have made for a great combo. 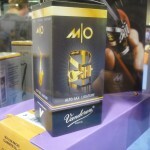 The NEW M/O lig has similar two sided bars for the symmetrical tightening but it incorporates the thinner design of the Master series with a lightweight brass (silver plated) for optimal resonance, it should also be cheaper than the current Optimum series.Vandoren also boast of ‘two small contact points that result in crisp articulation’. 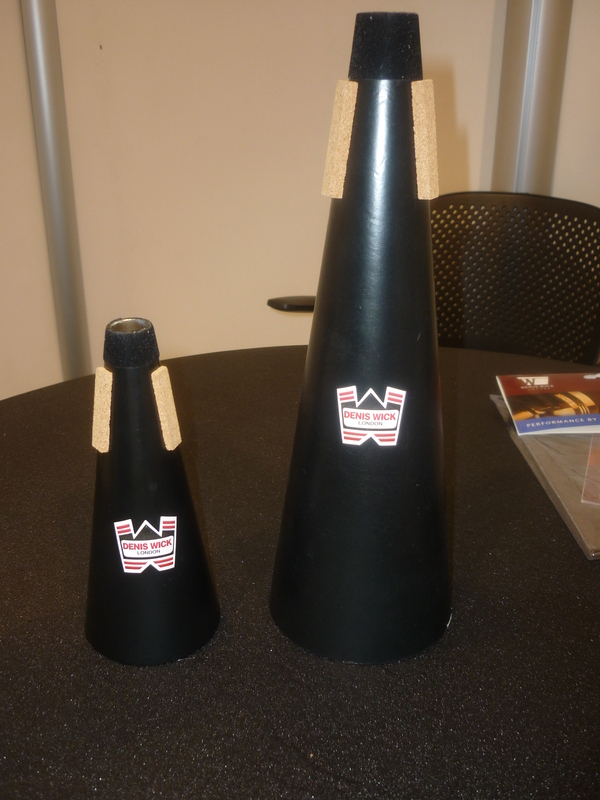 Also met with Stephen Wick today who introduced us to his New range of Fibre Mutes for Trumpet and Trombone. These Fibre straight mutes are going to be a great price (Under £20) and consist of a special fibre body, wooden end and internal metal resonator in the ring at the top of the mute. 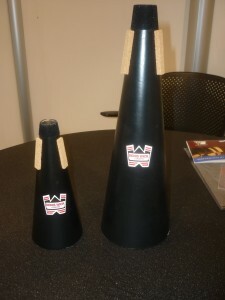 These mutes should be a great hit, Stephen assures us a lot of testing and re-testing was done on all the materials to ensure the optimal mix was found to keep the tone ‘correct’ for a straight mute and also keep the intonation secure. 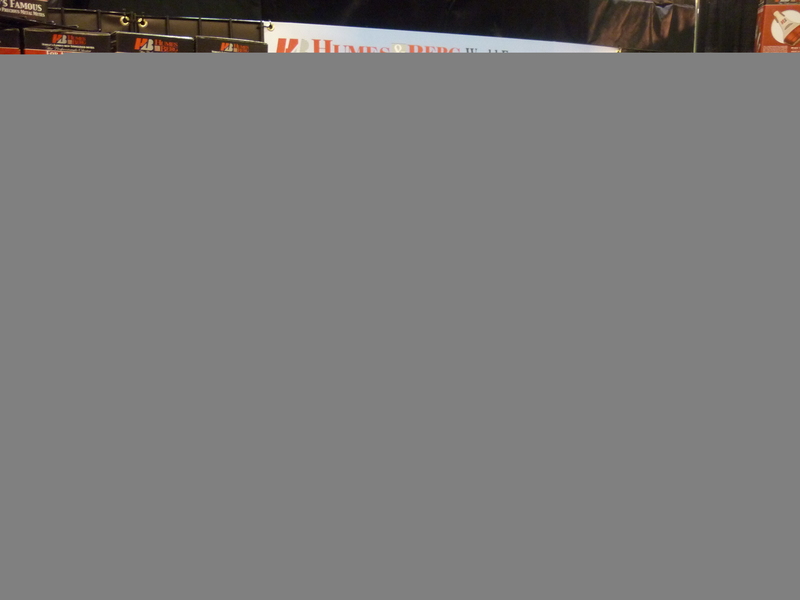 Talking of mutes we also spent some time with Irwin Berg (of Humes & Berg Mutes). 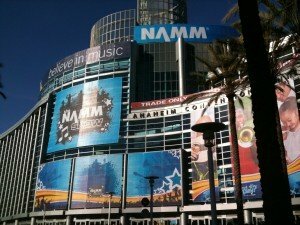 Irwin is something of an industry veteran and the Humes & Berg brand seems to keep going strong, you can see any big band from Ellington etc onwards and they’ll all have Humes & Berg Mutes on their stands. 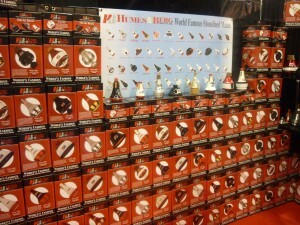 Check out the impressive selection of mutes on the stand, with more metal mutes in production for 2011 the range is ever increasing. ps – Apologies if the lay out is not perfect! Not using Dawkes approved technology here in the US!